Every Saturday we dig into the archives to highlight a post from around 5 years ago. Today’s post looks back at plans for the development of Auckland’s rail network prior to light-rail coming along. One key thing to note in reading this post is that it illustrates that building Heavy Rail to the North Shore and the Airport requires a new, underground, rail tunnel that runs east-west across the city centre – a “CRL 2” in a sense. With the development of high-capacity light-rail as an option for Auckland there is the potential to achieve what “The Cross” aims for at a much lower cost. This is outlined in our most recent version of the Congestion Free Network. There is currently a great deal of work happening on both the CRL and and a study into ways to optimise access to the airport and the rest of south west AK. There is also a huge and exciting revolution underway for the entire bus network in full flight. So as we wait for the results of this work I think it is useful to run through various options for the city as a whole across all modes, but in order to do this we do need to look at some parts separately and in detail. Here I want to have a look at the rail network alone. And in particular the next possible stages beyond the CRL and how that might all connect together. Yes this is only part of the RTN resource but because rail is, by definition, a closed system, it does require understanding on its own logic. And we need to have some idea of where we’re heading in order to not close off important opportunities. Peter discussed lineal routes with branches in his latest post. And I did a post on how important Aotea Station will be for the whole of Auckland, here. 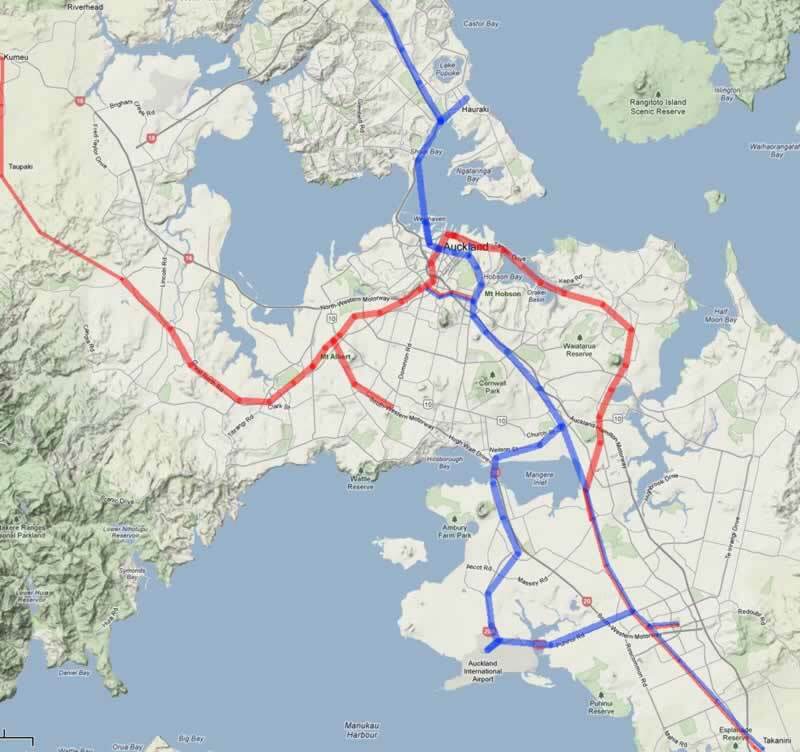 In this post I want explore a different variation in network design to the one discussed in my previous Aotea post, but one that still has Aotea as the essential heart of the network. Now feel free to haggle about various details. How exactly the airport is best reached is a whole debate in itself and deserving of its own post. And whether the North Shore line just heads to Akoranga and Takapuna and allows the the busway north of the Aoranga Interchange Station to serve the northern Shore is also a good debate. You can see that I’m not a great fan of the full Onehunga to Avondale line as it has both a very expensive steep section and a dubious running pattern. Happy to be argued with about that. Of course if there was a strategy to develop Marsden Pt Port and therefore the freight route was put through this route that would change my view. The big point is, just two lines: North-South and West-East. Hinging on the all important Aotea Station. Rolling stock stabled at yards on the fringes. I added the Mt Roskill spur because this is a booming area and the buses there could do with some relief, and because post CRL rail will be so much faster on the Western Line into and through the city. But also because it is a cost effective way to balance the Western and Eastern Line running patterns. There are also questions around direct West South running through Grafton: I’m a fan, especially once rail reaches the airport as people from all over will be heading there, and it makes no sense to send every trip through the busiest CBD section. Note that the Mt Eden Station has moved with access to both Dominion Rd and Mt Eden roads and is an inexpensive surface station south of the junction to the tunnel entrance and the branch to Grafton. Here’s a close up of Stanley St. Sitting on the train through here I have often thought how easy it would be to just straighten that bridge out at the bottom of Parnell stay above the traffic on a short viaduct and slide into a tunnel entrance into the cliff on Constitution Hill. Especially as it is so painful crawling around the back of the Vector Arena, and how many of those on board are heading up town from Britomart anyhow. This would also sort out the conflicted Britomart entrance at Quay Park, leaving it for Eastern Line and Intercity trains only. There are two options, the northerly one over the pub, or a more southerly one between two buildings on the east side of Stanley St, if possible. Unfortunately the building site in the background image between these two is now a building, occupied by Kiwi Rail on the floor level with the track [!]. The land on the other side of Stanley Street I believe is owned by NZTA as they have further massive motorway plans for poor old Grafton Gully. A University station would be tricky to site and make for a short run to Aotea, but would be extremely busy immediately and not only for the Universities but also the courts, the Art Gallery, the Library and so on. But more importantly I think it is essential to take pressure off Aotea Station as it would likely to become overwhelmed by both Southern Line and Northern Line riders as the only central city destination. There are of course heritage factors to consider too, as there are preexisting tunnels [and here] in the basalt and scoria on this route. But what a great opportunity to access them. We could leave the station cavity rock walls exposed , in an even cooler volcanic version of the Stockholm Subway. There are so many ways our network could be wonderful see here from examples from around the world. I particularly like Shanghai’s light show. No route with underground stations and tunneling is cheap. But it is not as long nor as steep as the CRL. Of course the harbour crossing is expensive too. But that needs to be put into the context of the numbers that the proposed road crossing of the harbour come to. And it would staged; Aotea to the busway Interchange Station at Akoranga is essentially the harbour crossing. And this plan to link this line to the existing Southern line could follow later. The real question is about the value of these competing ideas for the city as a whole. The fact that there is absolutely nowhere for thousands of additional cars to go either side of any further road crossing whereas a line like this can move tens of thousands of people day and night irrespective of the congestion above both into and right through the city. It directly connects the businesses and beaches of Takapuna to everywhere on the rest of the network including the airport. Like the CRL it helps unlock the hidden value in our already existing long rail lines. 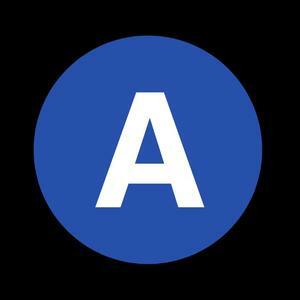 Albany to Airport: It could be called the ‘A’ Line or the ‘A’ Train: ….I look forward to your views. I ask your team please to withdraw your public cfn2 and ask for a little more feed back and submissions before promoting a new cfn2. Please we respect this blog hugely and belive it as a huge influence in Auckland transport. There are some fundamental worries sorry with cfn2. But huge respect for 90 percent of it. Cfn1 took in more politics and was achievable. Personally we have to use the hr technology we have and expand this before investing in a new rail technology. The alignment of the A-Train route is wrong. It should go straight up Wellesley Street with a minor dogleg at the University to allow it to go directly underneath their new Science building! I am not in a position to comment on costs but as a potential user, the proposal outlined in that five year old post has enormous appeal to me. Coming from the North Shore the deepish stop at Aotea rather than Britomart and through to University,Parnell and Newmarket is absolutely great. Just keep the TBM going from the Shore right through, with not too much surface disruption. Brilliant and transformational! Bikes are the answer to mass congestion free city so let’s recognize that now please. Starting with heavy rail and allowance for bikes on trains. Ha! v good flash back post that shows exactly the kind of costs we’ed be up for with an HR only system, a second CRL, yet still there’s the track and Newmarket junction constraint, and even then the coverage would be poor and the network unstable… Yet it shows that CFN 2 actually delivers the same idea, the same principle, The Cross, but with much more coverage, resilience, and capacity. And of course at a massively lower cost, which of course makes it realisable. Also I am pleased to see this old post which shows how we evolve our thinking with deeper understanding… In contrast to a very small number of increasingly aggressive single mode obsessives who come across as just as entirely stuck in their thinking as the most extreme end of the road lobby… let’s keep it civil and factual here please. Couldn’t disagree more with your comments, certainly an HR network would NOT be poor coverage and unstable, there is no proof thi s would be the case. CFN2 is a poor substitute and if the NW line was HR, routed through the motorway trench right through to meet that tunnel exit from University station on CRL2 then that woulschieve everything the CFN2NW achieves and does not push RTN traffic through Queen Street. Great to see how LR mode aggressive obsessive the CFN2 authors have become, certainly stuck in their thinking, pls continue to evolve your thinking away from RTN taking over Queen Street when it should be tunnelled under the city using HR. So a Network that has HR, LRT, BRT, Bus Priority Routes supports cycling and walking as part of any package is mode obsessive but HR everywhere isn’t? But Harriet it doesn’t have any HR other than what is already under construction, the CFN2 has street running LR pretending to be part of a RTN. It doesn’t have any more motorways either. Mostly because there are no good opportunities left to expand either network. Puke Elect is not under construction nor are level crossing removals except 3. The 3 flying junctions in CFN 2.0 are not even on the books. Harriet, Puke electrification is an upgrade of existing not something new. Flying junctions are not required as the same can be accomplished with upgrades to ETCS. Correct there is no HR that is not already under construction and the Puke line is are ready built, it will at some stage be upgraded to run electrics but it is already there. The flying junctions are not required as the same results can be got far cheaper with ETCS upgrades (it gets faster trains as well). What about tunneling LRT or a bespoke metro system under the city centre, if you’re not happy with the surface Queen St? That would be a lot more practical given the difficulties of tunneling HR and building HR stations underground. Are we all agreeing light rail is the answer? And I would appreciate not to be insulted Patrick as a reader? I don’t think Patrick was referring to you but rather 2 or 3 people who come on here saying Heavy Rail or Death and disagreement with them means you are part of a government conspiracy, what goes on in their heads idk. You are referring to me? You need to grow up Harriet and stop accusing others of fomenting conspiracies when they disagree with your views. Glad to see you have ceased the foul language, hopefully the moderators talked to you about that. These are your words and start using your real name instead of a pseudonym. And no because I am a moderator. My experience is infrastructure built to address transport needs to be almost full.proof. I am voicing my concerns now out of a general respect for Auckland residents and vistors. Will light rail take resources away from heavy will get stuck with two half built systems ? If we can afford to do both amazing cool. No its more the opposite the high costs of HR means we have to take from somewhere else. For example Dominion Rd needs to be done even the most Pro HR supporters agree to that. That means we can extend to the Airport for 1.2b or extend HR to the Airport for 2.4-2.8b. So yes we could extend HR but that leaves 1.2-1.6b less in the budget which is already tight and not fully funded even moving roading projects back and filling the funding gap makes things tight. So that means HR happens at the expense of something whether that is LRT extension to Orewa or NW LRT. The question becomes even if HR is better is it better than LRT to the Airport and another area of Auckland. Its about the total Network benefit rather than a route comparison. Harriet, what does GA make of the Spinoff’s recent article saying the LR cost has been underestimated and the cost difference between HR and LRT is not as large as that you describe? I think it may be to do with inflation vs not inflated cost numbers or do do with the reality that due to the lack of tradepeople construction costs are escalation fast but that affects all projects. The article also said LRT would take an hour to Airport but Cam said he didn’t say that. 22.6km and at 44 minutes giving an average of 31km/h for Airport and 9km odd WQ – Mt Roskill at 25m so average again of 21km/h which is not out there. For it to take an hour the LRT average speed would need to be 22.6 Kilometers per hour. I love the idea of light rail servicing shorter distances central Auckland please don’t.think your readers are against you..that’s not fair we all have our own bit to.consider and we win together: we are all on the same team. I invite you Patrick to not put cfn2 as the template gold standard for Auckland yet. I mean can you help me understand how a heavy rail from welsford warkworth orewa etc to Albany would be a benefit of hr on the northshore I am not stuck with ideology thats mean I just want to disuss this? Trams from Albany to the Airport for a mission critical transit spine? I dont envision its going to work for a travelers solution. Airlines will not hold your flight for a boyracer stuck on queen st and an old lady spilling potatoes on dominion road. It will work for commuters to the CBD from Albany and from Domion road. No one will get on a tram from takapuna apartments to go to Domion road cafe. So it effectively a bus with the known advantages. Now we respect it will have merit for that . but we do now have a new technology with all the politics thats goes with it. Are we going to get trams made in Spain again or will New Zealand goverment boot Dunedin economy with asking them to build Auckland trams. What electricity technology are going to use a new set of contractors to maintian the tram line? will we have veolla contracted to run the tram? Then what about freight are we agreeing there will not be a freight train to Albany etc in the future? Personally, I don’t see why people get hung up on the light rail vs heavy rail question. (Or mode choice questions in general.) The key to a successful rapid transit system isn’t the adjective you use to describe the vehicles, but the degree to which the vehicles have their own running way to prevent conflicts with traffic and allows fast, reliable service. It seems perfectly feasible to provide light rail with a dedicated running way, even in an existing road corridor. Just put down some kerbs to prevent cars from getting onto the tracks, and give PT vehicles priority through intersections. Of course, if this doesn’t happen, the outcome won’t be as good, but there are also a range of ways you can screw up of a heavy rail system. I’d encourage all commentators to think more carefully about what assumptions they’re making about how different PT modes would be delivered, and how that affects their arguments for/against a specific mode. LRT seems to be working quite nicely on the Gold Coast with very minimal disruptions. Indeed, they are extending it. Airport Travellers will make a small % of the trips most will come from the people of Mangere, Favona, Mangere Bridge or be Airport workers. We need to see this as a SW RTN Line not just about the Airport. The LRT includes stations at Favona & Airport Employment Area while HR doesn’t this actually makes it better for the users. Not sure why you keep talking about trams. It’s like you’re intentionally misconstruing what is proposed with light rail? People won’t even be able to access the driver, let alone talk to them. Really? I’d say it’s pretty obvious why….. Huge difference between “trams” and Light Rail. I’ve been noticing that too – Light rail – not re-instating trams from the 40’s ok! every single post on here whether it’s about transport to the airport or the cfn2 – same 2-3 people (now seem to be using different user names too) harp on about heavy rail heavy rail, trams this trams that – if you actually that passionate about this, do some research , look into actual costs and then submit a guest post? Slide 6 has a good explanation for why what Sydney has and what Auckland will have are significantly different from trams. No this will be light rail, nothing like the trams of Amsterdam of Melbourne. More like the Sydney Light Rail yes, even more like Seattle. Here is a some footage from Seattle: the first bit in tunnel and viaduct shows what the Mangere-airport section would be like (or indeed the North SHore), then shuffle forward to three minutes to the street level section for an idea of what the Dominion Rd section would be like. Stop for turning cars and walkers can they? LRT units in areas where they are required to be, are built to 100km/h standards. That’s fast enough for all but a long distance, minimal stop, inter city type of system. The Gold Coast G Link is not a ambling tourist tram. It moves you along at a good clip and covers distance very well with signal priority. It has been so successful that there is now talk of extending the line past Tweed Heads and down to Byron Bay. Bryce question: will the one for Domion rd travel at 100 km per hour honestly in practice anywhere on the network? Do you really believe NZTA will set this up to truely achieve consistent and reliable 100km on significant parts of the line? Really? 72 kph max sometimes in ideal if we are lucky and we get a highest quality lr system. Part of the route uses the Northern Busway and its extension alignment this currently is 80km/h due to no median between the lanes. LRT which runs on rails doesn’t need a median and would be allowed to run at least 100km/h. LRT is far easier to get to Orewa. Heavy rail would have to stop at SH1 whereas LRT could run right down to the beach. Which I personally would bloody love. The reasons are many. 1. Grades: LRT can handle much higher grades this means less tunneling, earthworks or viaducts are needed which saves lots of money. 2. Potential for bridge, HR needs to regrade up from a CRL2 to a bridge this wouldn’t be easy and would likely end up tunneled. LRT could be bridged which saves significantly on cost if chosen something between 500-800m cheaper than an LRT tunnel. 3. LRT can run on streets/grade separate this means it can be built with a CRL2 tunnel which would be like the CRL come with a heavy price tag, the other advantage is we can take LRT into where people are for example Orewa proper rather than having a station in a paddock in the middle of nowhere by SH1. LRT could technically be bridged across the harbour. But in reality, Aucklanders have discussed this multiple times and the only acceptable answer has been a tunnel. So HR vs LRT will be cost similar for that section. Aucklander’s have been asked about a 6 lane motorway bridge with the needed tangle of interchanges on either end not the same as a 2 track rail bridge. True, so long as transit can be disentangled from also building car-lanes in the AWHC project (i hope so, but i worry Steven Joyce et al won’t agree). I suspect Joyce will announce a speeding up of the AWHC in the Budget coming up with his new pot of gold… Probably he’ll try to make it car-only…. Hey posters I really appreciate getting some feed back to these comments. Sailor boy Nick Harriot, I looked at the Seatle trains, cute as l like Seatle, but: the irony lovelies is there lrail looks a lot like our heavy ? ow this brings up so many many questions ahhh… Anyway my post was about a rigorous debate before cfn2 gets put into motion. The people behind this blog do not get to decide whether CFN2 is put into motion. There is plenty of time for discussion and probably a need for organised lobbying of the people who do decide, at more than one point along the way. Know your allies. I think that is the point Light Rail doesn’t necessarily mean lightweight its how you design it. So, why not use the EMUs? There will never be freight in the CRL2, or the AWHC. Safety would mean it will only ever be a passenger line because of the tunnels. EMUs can run on the current network which can cope with heavy freight loads. And then on a lower spec network for the CRL2 and AWHC and North Shore sections. CRL is built to maximum EMU grades 3.5% rather than preferred Kiwirail 2.5-3%, LRT can handle 8% plus if that is what you mean? Do we know what the gradients are on the northern busway currently? Not the exact however know its low enough that no tunneling or viaducts required for LRT however some needed for HR such as at Sunnynook. “From Auckland Council’s GIS map viewer ( http://maps.aucklandcouncil.govt.nz/aucklandcouncilviewer/ – with contours turned on), the most onerous gradient on the Northern Motorway I can find appears to be the climb of 50 vertical metres between Sunnynook Rd (25m asl) and Sunset Rd (75m asl) in 1260 horizontal metres. This gives an average gradient of 4%. This is well within the bounds of what heavy rail handles elsewhere, and I would be surprised if it were not within the capabilities of the CAF units as they are, with no “special engineering” required. It’s slightly more gradient gain than that over a slightly shorter distance, but probably possible. My question is why on earth you would want to put heavy rail in here? Actually you are right Sailor Boy. I just re-checked and it’s more like 5% over the steep part of the climb (~ 5m elevation for every 100m horiz). My mistake. “Why would you want to put heavy rail in there?” – To form the northern extension of the Southern Line – the Albany-Pukekohe continuous rail spine! Wouldn’t choose that actual alignment if given a fresh start, but the Nthn motorway/busway corridor is already there now. $6bn puh! Can you substantiate this? Or was this just a handy scare-off figure pulled out of the air to suit your view? If the CAF EMUs can handle the Northern Busway gradient which I believe they could, the cost of converting it to light rail or heavy rail would likely be about the same. Exactly why have the Heavy Rail obsessives started to target this blog? Do Mike Lee and the NZ First-aligned crew recognize their primary ideological foe? I remember when the anti-PT crowd used to target it and at least they could spell. Oh dear. It’s all a conspiracy. How dare people have a different point of view to yours. Can we please stop this everyone is in a conspiracy stuff its really dull. I promise I am not a lizard person, and I am sure the HR or death supporters are not lizard people either. @Daphne. The “Heavy Rail obsessives” are not new people. “They” aren’t targeting the blog. I think most will have been ongoing readers who are surprised and somewhat disappointed that TB/GA seems to be losing it’s way. Harriet comments earlier in this feed that even the HR supporters still support Dominion Road LRT. That is because that project passes the litmus test – it’s a busy transit corridor that can’t take more buses and needs upgrading to LRT. But when you’re thinking about long distance transit trips from one edge of the city to the other (orewa to airport), the average reader will think about all of their experiences with LRT and all of their experiences with HR and wonder how that long trip will be fast enough and feasible enough to do on LRT when all previous examples they’ve ridden have been slower than HR. It’s the same reason there is doubt on the consultancy report that AT did on the airport corridor. At face value, it doesn’t add up. IMHO, building the queen street/dominion road LRT corridor as an independent project first, getting it running will then prove to me, other readers of GA/TB, AT, NZTA etc that either LRT is really fast and efficient and should definitely be rolled out as the CFN2 envisages. Or, it will act like the other LRTs that I have ridden and won’t be fit-for-purpose for the regional Orewa-Airport route. Wow +1. Bevan sums it up perfectly! HR is for longer distances and/or higher capacity. LR is for shorter distances and lower capacity (no we aren’t really going to see massive long 3car LR vehicles anytime soon in Auckland so the capacity of 2car units is a lot lower). I think almost all are agreed that Dom Rd should get LR. Many however (and it’s not just 2 or 3 Harriet), do think that LR to the airport (and the Shore) is a short term fix and isn’t a long term solution for a city that is rapidly approaching 2 million people and will probably hit 2.5m within a couple of decades. It is not about robbing Peter to pay Paul. The money is there in central government (who should be paying the majority for these rail projects) just look at how much they’ve just opened up for roads in the past week. Not too mention they could save half a billion on the East-West link by going for a more cost effective option. They can also offer infrastructure bonds, or have these projects ready to go for the next recession (happens every decade on average) and get the reserve bank to do $8B of quantitative easing to be pumped into infrastructure – kills 3 birds with one stone (increased spending and jobs during recession, slight increase in inflation when inflation drops, most cost effective time to build). I might also add that people do appreciate CFN1 and now 2, they are just concerned that it is perhaps settling rather than striving. The 2 or 3 is not a remark on HR supporters but ones who come on calling anyone who disagrees with them Govt apologists or in league with some sort of conspiracy people like dgd & Jon Reeves. Nicely done Bevan. I really didn’t want to comment as I am really sick of the constant LRT versus HR battles. In terms of technical and life experience, I have some knowledge in these areas. I completely agree that the litmus test is getting LRT up Queen St and down Dominion Rd with average journey speeds athat will be competitive on a longer corridor. Both peak and off-peak. Dominion Rd is not that wide compared to Melbourne (along the inner suburban arterials in the situations when trams do run down the centre of the road on their own ROW), or the Gold Coast (ditto for trams running down the centre of the road on their ROW). I think it could be feasible to run down Dominion Rd at speed but AT need to put step up, be brave and publicly release how they are going to do it. If not AT, could some of the bloggers at Greater Transport do some sort of detailed “zoomed in” view of how LRT runs down Dominion Rd in CFN2? I think include some sort of basic traffic modelling in how to manage away the existing traffic as well as the physical map. Surely the SH20 Waterview connection is the means to deal with the traffic modelling. Right now. What do you reckon? Exact alignments usually come in more detailed later reports, AT were doing a more detailed one not sure were it is at. Daphne, always good to assume the best in people, as its often the truth 🙂 . People here are pretty cool. 😉 actually my motivess are so complex you wouldnt want to know… I love happy society and goodness and fun at the bottom of it, also we are talking amongst well informed transport readers its a rad debate to have. I thiñk I would lke to suggest a modification to cfnv2 if gen0 would allow me to. 1. I dont thiñk we need to specify the north line as light yet, keep it heavy to Orewa and build a second harbour crossing bridge at Meola reef with rail going along this to join into Western line. 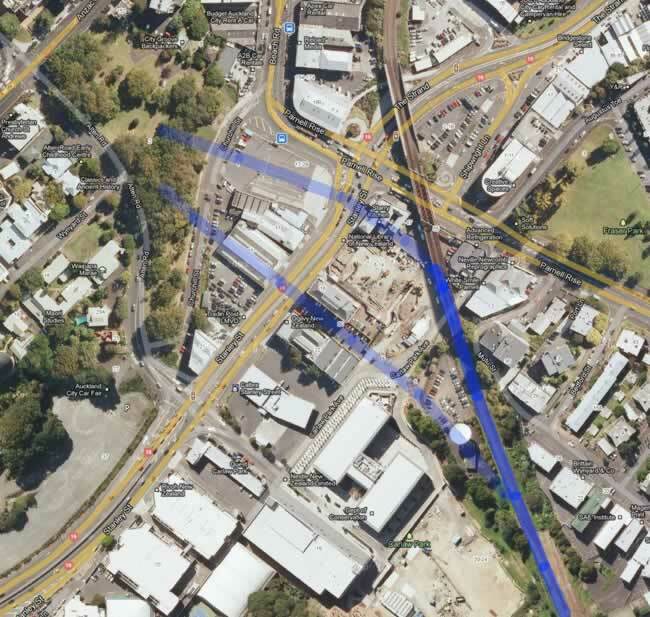 3: ) Light rail from Westgate to tamaki drive via CBD with the abilty for NW part able to be connected to a future CBD tunnel as discussed earlier which when done would redirect the north shore meloa reef line to go with it. Allow for expansion of this to Welsford northernline at some stage. 4 Light rail from pakaranga to CBD also. Heavy rail to Orewa would prevent it being able to get anywhere near the beach. LRT for the win. Not necessarily, sent it round the back of Silverdale and then past the schools and over the estuary. Gradient would be less than CRL and unless you plan on sending LR up HBC Hwy (which is busy as it is and is a 70km/h road) then you’ll have to go that way anyway. Send LRT up Hibiscus Coast Highway or run it on Grand Drive. Either way, you can’t get heavy rail to the beach without at least 2km of casueway or tunnel. 2km? What are you a drunken sailor? The estuary is 100m across and won’t be difficult to bridge across (probably only needs to be a single track bridge from Millwater). Please show me a route from the motorway to Orewa Town centre that requires less than 2km of tunnelling or causeway. Then show me any train line in the world operating at least a service every 10 minutes both ways with 4km of single track section. That may have not been that clear. Main suggestion is a road and rail bridge across the waitama harbour from Birkenhead to Western springs with north rail connecting to the Western line at this stage. Eventually a. Second.CBD tunnel would take this and a NW line through to.Parnell.station. 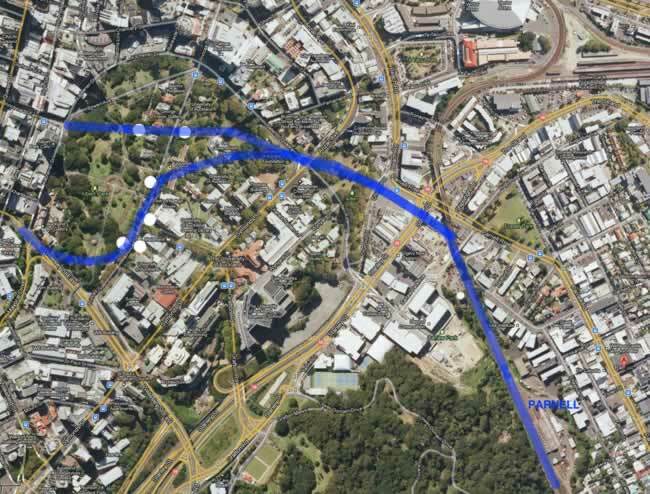 Light rail would connect all main arterial routes which should have bus lanes on them now. This really would.change our transit paradigm no? Also I thiñk a time is coming when we consider a near town transport hub. I suggest over speggiti junction by way construction. I can’t see a Birkenhead to Western Springs bridge ever getting consent. There is an alternative that gives most of the advantages. 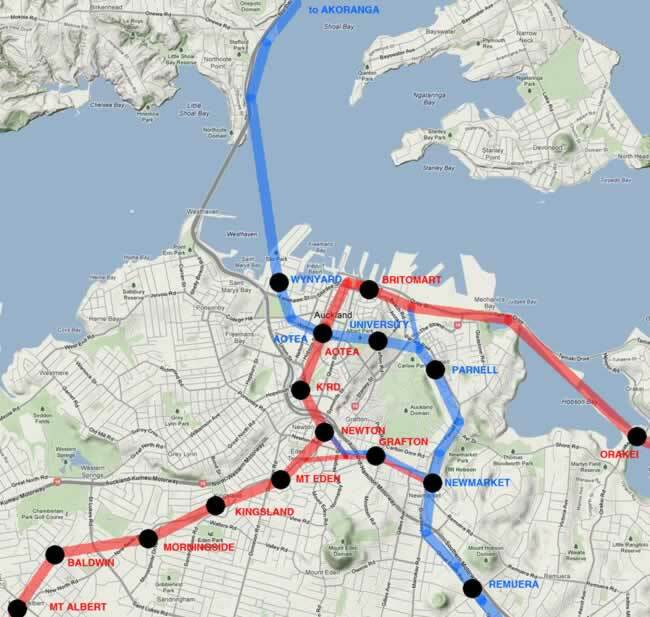 NW rail (if HR initially joining the existing line at Mt Eden, if LR it could basically leave SH16 and become street running at nearly any point near the city) to Westgate then follows SH18 to Albany, RT north of Albany can be rail instead of buses to be upgraded later. When the new harbour crossing goes ahead it is only a matter of joining up the already started NS rail to the city via the new crossing. If these are to be LR then street running is an option, if these are HR there is the option of CRL2 or to have the NS line come direct to Britomart not giving the option for a direct route to Aotea. This is the 1st post I saw from this blog, and since seeing it I have kept coming back to read daily. But it seams everyone has jumped on the tram or light rail probably more accurately super tram due to there length. And it pises me off to see people getting up n arms when someone disagrees with LR or ST.
l liked this blog because it has the think big attitude unlike our council and government. and our ideas are possibly Auckland’s future. So l think this route under Victoria park and aotea station and then under Albert park is still the benchmark for the ns line. I don’t agree that we should remove 2 lanes from roads that could be used for local buses trucks or both cycle ways and wider side walks. Sure it would be nice but we can’t have a dream network, we have to build feasible ones because dream networks stay that dreams. The money isn’t there for NS HR & a CRL2 its barely there for LRT even after pushing all the roading projects back. Every dollar spent has an opportunity cost, whether that is we can’t build NW LRT as a result, or Christchurch rail or we have to take money from Health/Education etc. Would CFN 2.0 be what it is if I had a blank cheque? No of course not but that blank cheque will never exist because other areas need money as well. It upsets you to see people correcting lies told about the cost, speed, and capacity of public transport? John I wrote that post. And I am happy to see it again as it is good to be reminded of one’s naivety! Five years is a long time. It has certainly been a long time in my education on Cities, Transit Networks, and Auckland. But also because I don’t in anyway resile from the principle above; take the Rapid Transit through the key demand centre and out to important regional centres and populations, always thinking of live/work/study clusters and of building a high value network based on how far you can get with transfers, especially with a direct ride plus one transfer. Our CFN2 does exactly this, and much much more successfully than The Cross. It covers the whole urban area. And the entire thing is costed at less than this mega underground railway would come to. The CFN2 is possible, it is fundable, it reaches more people and places, therefore is more equitable, its parts can be delivered more quickly. It is the result of thinking from first principles, from the whole city’s needs, and with cold hard realism, not by starting with a passion for this mode or that, this technology or that. Or obsessing on a couple of favoured routes alone. Designing a realistic and deliverable Rapid Transit network for the whole of an already existing city, with the aim of taking it to the responsible agencies and political bodies and knowing you will have to justify every decision not only from a technical engineering perspective and the users point of view, but also the necessarily sceptical position of those in charge of public money, is a huge and fascinating challenge. And this that took a team of people and some very hard fought out solutions. We are very confident in the conclusions we came to, confident that in the balance the whole is greater then the parts. It has been stress tested by people with all sorts of specialised knowledge, so it really is the best we believe can be delivered in Auckland now. Great work Patrick our comments are a tribute to TB sucess not the oppersite sure you realise this yourself . Its got to a point were cfn2 will become the adopted policy from all agencys and so with that in mind on this transport specific conversation we want to make sure it is 100 percent as then we can move into to all parties to get it done. I like light rail I just want to discuss possible realities versus other options probably like the ones you have already had. The only real worry I have and sure we can make moves to ensure this is resolved is to ensure dominion road is as seperated from traffice where ever possible to ensure it can maintain a consistent time table. Hey Patrick I apologize you have done a great job.. Ok sure it sounds great. I will get behind this 100% then. Yoyoyoyoyo – great name! Hey, you asked about whether the Government is likely to buy more trains from Spain or instead might get them from Dunedin. In my humble and polite opinion there is absolutely ZERO chance of anything being made in Dunedin ever again. It’s nothing to do with Dunedin – it’s just that the world tram/train manufacturing world is increasingly dominated by fewer and fewer companies and they are merging and getting more complex and quite simply – if the specialists can’t make a buck out of it, our guys can’t do it either. The manufacturing companies are under fire from China, whose two biggest train companies have merged to form one huge super company. Our next trains are therefore more likely to come from China rather than Spain…. More trains from China? Like the asbestos ridden DL locomotives we’ve recently bought. China is the last country we should be buying from. Korea, Japan, Spain, US. No problem. Vance – you and I have no say in this. Our government buys using cost as the main factor. Therefore, until there is a major change in the world order, New Zealand will in future always be buying the cheapest option, and that means Made in China – every time. I hope the next LRT system (if it ever happens) doesn’t involve the same people in planning it that were involved in that disaster down at Wynyard Quarter. Ironically that Tram was pushed by the biggest HR supporter of them all Mike Lee. A LRT from Botany to Manukau should be the first priority as it’s the easiest to implement. A second stage could run from Manukau to the airport.